As part of the international efforts to combat money laundering and terrorist financing and to fulfil its international obligations as a member of the Financial Action Task Force (FATF), Hong Kong has introduced the Companies (Amendment) Ordinance 2018, which came into effect last year on 1 March 2018. 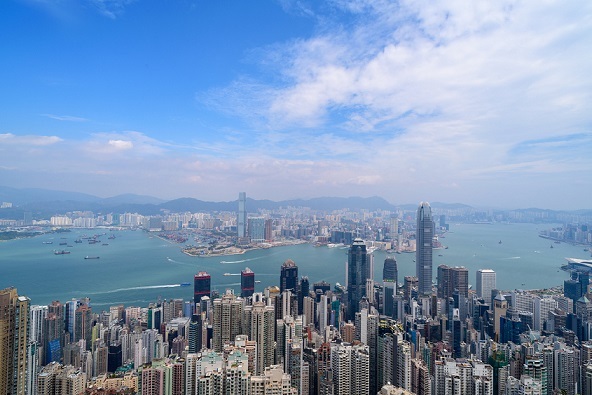 The Companies Ordinance now requires any company incorporated in Hong Kong to ascertain and maintain beneficial ownership information by keeping a significant controller register (SCR) to be readily accessible by law enforcement officers upon request. That is applicable all forms of companies formed and registered in Hong Kong including companies limited by shares, companies limited by guarantee and unlimited companies with only companies listed on the Stock Exchange of Hong Kong being exempted from compliance. The Companies Registry is serious about the implementation of the new provisions in the Companies Ordinance and is now taking an active role in enforcing the SCR-related offences which are all criminal in nature. In January this year, the Companies Registry announced that a total of 12 companies were prosecuted under section 653M(1) of the Companies Ordinance for failing to keep the SCR at their respective registered offices and each of them was convicted and fined. 5.	making the SCR available for inspection and taking of copies by a law enforcement officer. For each of the above offences, failure to comply may result in the company, and every responsible person of the company, liable to a fine at level 4 ($25,000) and, where applicable, a further fine of $700 for each day during which the offence continues. As for persons receiving notice relating to the SCR, if they fail to comply with the requirements stated therein within 1 month from the date of notice, such addressee and every related person (including officer or shadow director in the case of a body corporate) would be liable to a fine at level 4 ($25,000). If any person knowingly or recklessly makes a statement which is misleading, false or deceptive in any material particular in the SCR, or makes a statement or provides any information that is misleading, false or deceptive in a material particular in the reply to a company’s notice, that person may be liable to a fine up to $300,000 and imprisonment for 2 years. In view of the above, although the SCR is not supposed to be made publicly available and the information recorded therein is not required to be filed with the Companies Registry (in certain circumstances, however, the location of the SCR is required to be filed, for example, if the SCR is not kept at the company’s registered office or at the same place as the register of members), directors and other responsible persons of companies in Hong Kong should be taking these new changes to the Companies Ordinance seriously and taking appropriate steps for compliance. Furthermore, a company must also designate at least one person as its designated representative to provide assistance to law enforcement officer in respect of the SCR, the name and contact details of such designated representative must be included in the SCR. One must either be an individual shareholder, director or employee of the company resident in Hong Kong in order to be a designated representative, or one may appoint certain designated professionals (such as practising solicitors) to do so. For more information the SCR compliance requirements in general, please refer to our news update posted in February 2018 “Significant Controllers Registers -- Amendments to the Companies Ordinance”.